Momma Told Me: My Confession: I Coupon, And You Can Too! Momma Told Me: That 'scrap' of paper is money! I have a confession; and after blogging for 2.5 years here on Momma Told Me, it will come as a surprise to even my loyal followers. You see, I am one of those women who get stopped in the grocery store with incessant questions such as "So, how much do you usually save?" and "What's your best savings ever?" almost certainly always to be followed by, "So, are you like, one of those Extreme Couponers?" That's right, I coupon. Thanks to shows such as Extreme Couponing, I feel more ashamed than ever to make such a statement; please do not lump me in with the 'Extreme.' 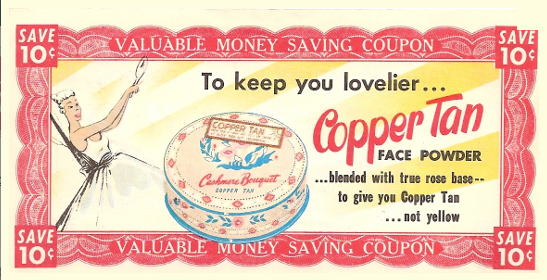 While Momma might have fallen under that category (back when double coupons were real, and stores would pay her money to take cart loads out of the store)- I use coupons for practicality, and fun. Yes, grocery shopping and even clipping restaurant coupons, has allowed me to live a lifestyle much more grandiose than my salary could afford. And yes, I do keep a 'stockpile', though never more than 20 of any item; and I am constantly cycling goods out of the house to my neighbors and relatives who enjoy 'shopping' within. 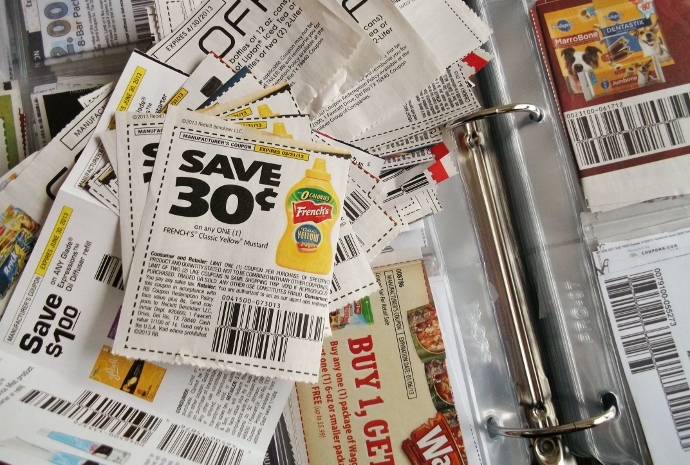 For me, couponing comes with two sources of enjoyment; to begin, the tedious structure of planning, cutting, and organizing my coupons is almost therapeutic for me. It caters to my OCD tendencies, and is the perfect outlet for any of the week's frustration. My coupon binder, and my stockpile, is one of the few things I can control with a level of precision sorely lacking in other aspects of my life. Second, it's plain hard to argue with the convenience of never running out of the essentials. Not only do I have shampoo on hand when a bottle is empty, but I have a selection to fit my mood. With my stockpile established, I can also be more picky about the sales I do take advantage of- I never feel pressured to pay high prices because I 'need' an item, and that makes me feel more in control when behind the cart. As Momma always says" Why pay double, when I can pay half?" While I could brag of my best trips, Momma certainly taught me everything I know, Not only did she have a repertoire with all of the cashiers at each of the 4 major grocery chains local to our family, but she had an 'in' with the butcher; to score amazing discounts on protein as well. But I won't lie, it's hard to just do 'a few' coupons. 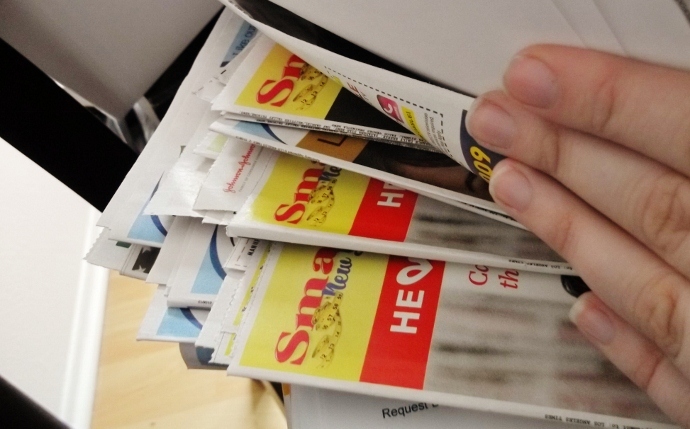 Trying to shave money off a grocery bill with a stray newspaper insert and some printed coupons would be like trying to collect an entire baseball team of cards from only handouts. Yes, I could take the coupons I come across, and 1-2 papers a month and shave a few bucks off of my grocery bill by chance- but the true magic happens when all of the cards are in that deck; when I not only have coupons, but enough coupons to match with sales. I only recently switched from a small accordion coupon organizer to the binder you see above. Did you know they make sleeves (similar to trading card sleeves) just for the organization of coupons? I received a package of inserts for Christmas that included 5 different shapes/sizes of pocket sleeves. This enables for complete organization for aisle/theme, and even sub categories to match the week's sales at various stores. I organize my binder in order of department walk through at my preferred chain, Vons. That is to say that the beginning of my book is Health/Beauty, followed by Soft Drinks and Beverages, which is the second department I see when walking through the store. Of course, when you shop in a grocery store with a giant binder of neatly organized coupons you have to expect to be stopped. Whether I have just started my trip, with an empty cart, or have a second half full cart pulled behind me, I am always stopped by curious staff and customers. 2.) Print Coupons. Don't waste your time hopping to multiple websites and hunting them down, use the 3 main circular providers: RedPlum.com, SmartSource.com, Coupons.com. First time coupon printers will need to authorize basic applications before they can't print. This is a one time event, and simply authorizing the coupon printers to run; companies do this in order to limit the number of prints/user to 2. I visit printablecouponsanddeals.com once a day to print all of the day's coupons. They update as new coupons go live and provide direct links to print them. You never need to 'hunt' for coupons again, and can even search for a brand/item, to find out if there are current coupons for this week's sale items. 3.) Now that you have coupons you need to know what to buy based on this weeks sales. I use southerncalisaver.com. At the top of that site there is a dropdown menu with 8 grocery store selections. I choose the store of my choice and am taken to a page with all this weeks hottest deals. Every Tuesday night the following week's store ads will go live. All I need to do is click on the post for that week's ad, and I can view ALL of the sale prices by category, including a link to all printable coupon match ups, and reference to print coupon publication dates. It gets even easier, I can check off the items of interest to me and print a shopping list with the sale prices, and after coupon prices- it doesn't get any easier to coupon! Now I don't run a coupon blog, and you will never see me posting blurbs about coupon links and freebies/samples. There are simply too many wonderful websites dedicated to that already- my blog is my space to share memories, thoughts, and discoveries. However, now that the cat is out of the bag, feel free to contact me for pointers if you're event interested in getting started. But remember, Momma's biggest lesson is that value does not equal price! The cheapest item/service, is not always the best deal for your time and money. 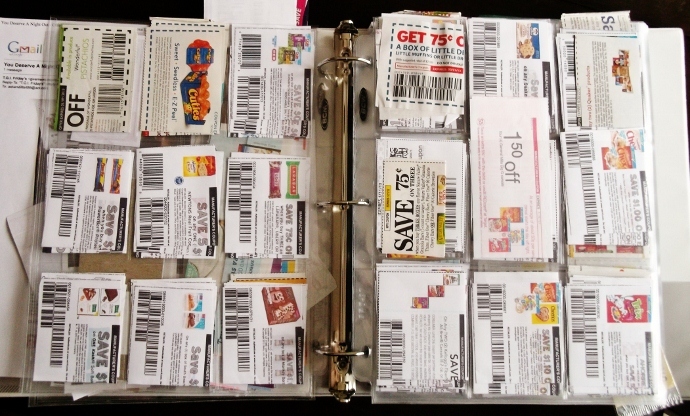 The ability to clip and use coupons does not make for a savvy shopper. Coupons are put out by companies to encourage shopping/spending; you should always purchase products based on your experience within them, and the brands, in the past, never for a rock-bottom price. For those curious what I do when my stockpile exceeds my space; I am constantly donating boxed foods and necessities to charitable purposes. There are many causes advocating deployed, and returned, soldiers that can always take a grocery donation. I also like to keep a few gallon sized baggies full of toothpaste,toothbrushes, snack bars, deodorant, soap, etc, to hand out to the homeless we pass on the road. One of the top reasons I clip coupons is to extend my own good fortune and wealth to others! What Daughter Says: Don't think couponing is for the gifted, anyone can do it! I really need to get more organized about using coupons. Thanks for the inspiration. couponing is a great money-saver and I think anyone can do it, especially with your helpful tips! Jenna, I never knew that you had a coupon binder LIKE THAT hiding in your house! Maybe someday I will blog about my Recipe binder then! I don't coupon but will buy one product over another at the store if it is on sale and I am not allergic to it. But my dad will call me after looking at the Grocery Circulars for the week and tell me to go to a specific store for him to pick up an item and then bring it up to them when I visit. This week is coffee at Publix. One week it was cream cheese another week it was 12 boxes of Morning star vegi burgers. I do get excited when my savings is over $20.00 though so I know I could save even more if I cut coupons but I don't use most items that generally have coupons. You'd be surprised Felissa, there are coupons for pretty much everything, even luxury brands and organic products! I wish coupouning would become a thing here in the Philippines too. 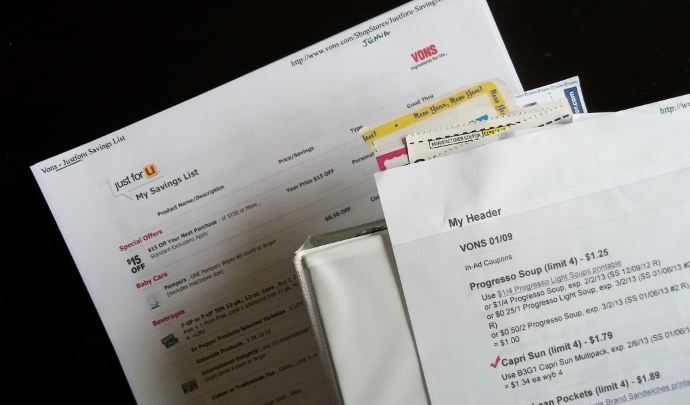 What a nicely written piece --- I couponed years ago (double and triple coupons, yeah!) but it's so much more work now. Thanks for sharing your words of wisdom, too. =) I will be back for more Momma/Daughter wisdom!